So just how DO you get started with creating a local grassroots organization? It’s simple and doesn’t take a lot of time, but action is critical. We all know the hardest part of “doing” anything is getting started. Having a plan makes it possible. Map out a plan of action that’s appropriate for your neighborhood, precinct or area you want to organize. Use it to spell out exactly what sort of impact you want to have and what activities you’ll focus on to make it happen…(along with “who” can do “what”, “when”, “where” and “how”, etc). Keep upcoming events on the political calendar in mind when making these decisions, (such as pending elections, important issues to lobby with local government, Republican Party organizational meetings, etc.). Evaluate these items in coordination with other like-minded people that you plan to work with. 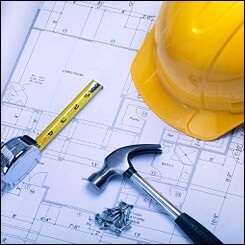 List the major changes you would like to help make happen in your area. Why do you want to get involved? What do you want to change? Be focused and specific – but realistic. Choose the kind of activities that will help you bring about the changes you listed above. Play to your strengths and make sure they’re the kind of things you have the resources to accomplish. Then list the action steps you’ll need to take to complete each activity. Multiply your efforts by involving and coordinating with others. Remember, many hands make light work. Planning in this way gives you a a better shot at creating a grassroots organization that can truly impact the things you care about – and help you avoid getting burned out in the process. 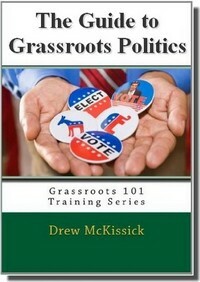 You can find out much more about political organization in precincts, churches and online in my “Beginner’s Guide to Grassroots Politics“!